First, I love Terry... I have read almost the entire series and decided to go back via the order that He suggested. 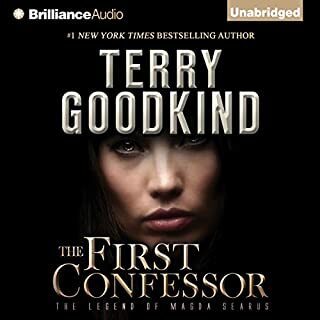 Starting with The First Confessor. Having read almost the entire series, It does give some much needed history in my opinion, and doesn't spoil the other books. it actually is more of a building block. The issue is the repetition. Very, "I do not like green eggs and ham, I do not like them Sam I am". This book actually could likely be done in 8 hours versus the 10 and you wouldn't miss ANYTHING. That does not mean that, provided you can get past it, its not worth listening too. 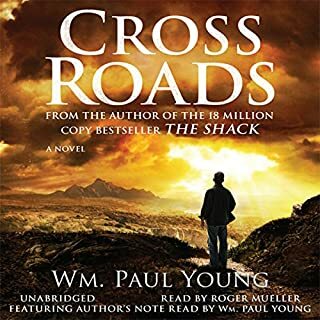 You could do the series without this book, absolutely...however, listening has truly helped me to better know and understand quite a bit. I am though, a person that HATES not knowing or having a full understanding. Overall, the information was beneficial, the writing was sub-par in the sense that I am a serious fan, the narrator did a GREAT JOB. First they were Left Behind. Then they formed the Tribulation Force. Now they must face Nicolae. 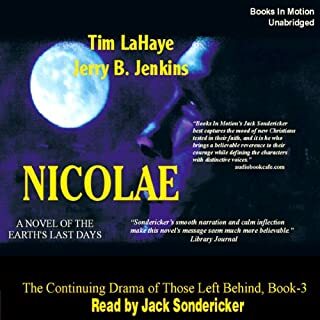 Here is the most explosive of the three books thus far, the seven-year tribulation is nearing the end of its first quarter, when prophecy says that "the wrath of the lamb" will be poured out upon the earth. Rayford Steele becomes the ears of the tribulation saints at the highest levels of the Carpathia regime. This entire series is well written. I am listening for the 2nd time. There are of course, places where the information is repetitive, assuming this is so that you are able to follow the story regardless to where you start. It's been years and I remember reading this as a young teenager because it was forbidden. As an adult, the appreciation and understanding of each characters own personal plight is awe inspiring. 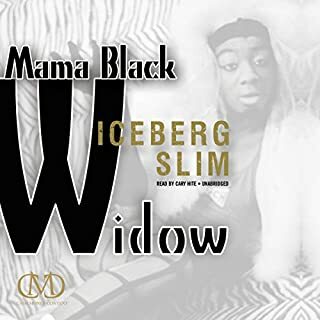 Iceberg Slim was truly gifted and the narrator did a fantastic job. In one cataclysmic moment, millions around the globe disappear. Vehicles, suddenly unmanned, careen out of control. People are terror stricken as loved ones vanish before their eyes. Is this the rapture prophesied by scriptures in the Bible from ancient times? If so, what destiny and tribulations are about to befall those who remain on the Earth and are left behind? 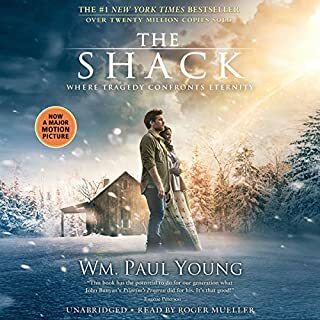 In the midst of global chaos, airline captain Rayford Steele must search for his family, for answers, for truth. I love this series, after learning that there were 3 prequels that I hadn't heard, I listened to those. They were so enlightening and so enhanced the story that I decided to listen to the series again. 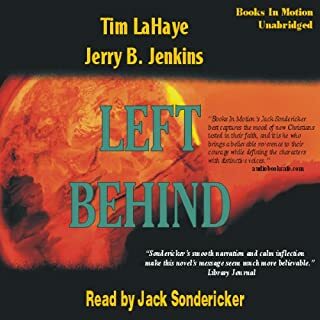 If you are a first time listener to this story, considering the purchase, a non-believer, student of the word, whomever; I would strongly suggest getting this book but listening to he prequels first. This author is truly anointed and gifted in his craft. His books have the depth of C.S. Lewis, the creativity and imagination of J.R.R. Tolkien and the power of anticipation of Terry Goodkind. I wept, laughed and repented...both times of listening. Very different from the Shack yet poignant in its on right. After listening a 2nd time and only having learned about the book less than a week ago...I must say it's changed my entire way of thinking. The story is phenomenal and the artist reading the story is awesome. You will laugh out loud, ponder the world, desire to be more patient, cry real tears of joy and sadness and in the end if you do not know God you will want to know him, if you thought you knew him you will know him better and if you do not believe you will at the least re-examine your own paradigms. T.D. Jakes is an internationally beloved pastor and a best-selling author. 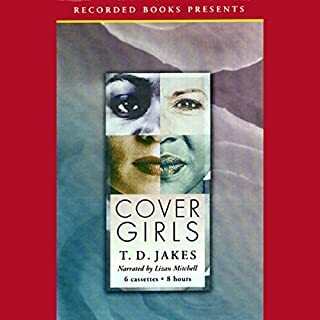 In Cover Girls, he delivers the story of four women who, though from very different backgrounds, are all struggling with their faith. Michelle wants control, Tonya wants to be able to trust, and Mrs. Judson wants to let down her guard. Through Miz Ida's wisdom, and each other's support, these women discover that friendship may be the answer to their prayers. Which character – as performed by Lizan Mitchell – was your favorite? She was excellent as all of the characters. Well written and the reader was awesome!